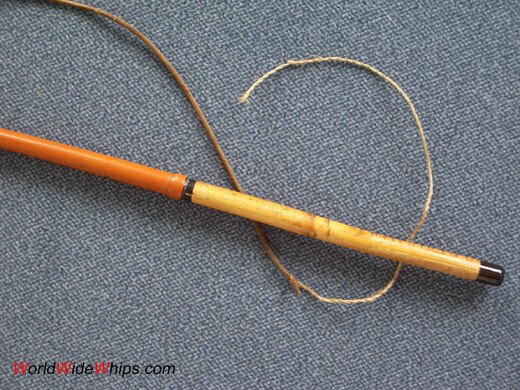 This driving whip is made of massive rattan, tapered towards the point. 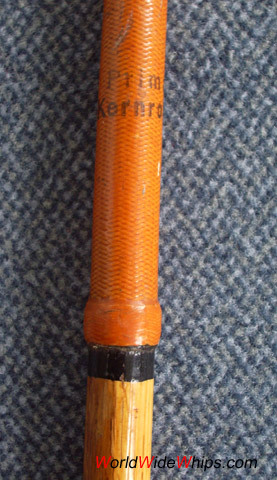 A fine machine braid covers the shaft. The handle shows the natural surface of the rattan.